Sarah the Zafara thinks she knows everything about Neopia. She has read every book and collected almost every item. If you are ever stuck on anything ask Sarah a question, you'll be surprised how much she really does know! Just type what you're looking for into the search box, and the most commonly asked questions related to your search term will appear. Important Note on Support: Neopets is currently switching support provider for ticketing. 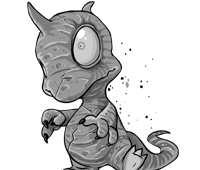 As always you may contact us by email at support@neopets.com. Please include the username you are writing in about! And if it's an access issue, include the email address(es), the registered date of birth, and any other information that only the creator of the account would know. Thanks! I know absolutely EVERYTHING about Neopia!